Marcela was born in Rio de Janeiro and moved to Brasilia with her family when she was 14 years old. While pursuing a Bachelor’s degree in Design at University of Brasilia, she realized she didn’t fit the university’s focus in either graphic or industrial design. After working on a socially-focused project, her eyes were opened to the full potential of design: to create positive impact wherever it’s applied. During a Startup Weekend, she founded VestiuBem, a fashion conscious e-commerce that was later accelerated by the Social Good Brasil Lab program. 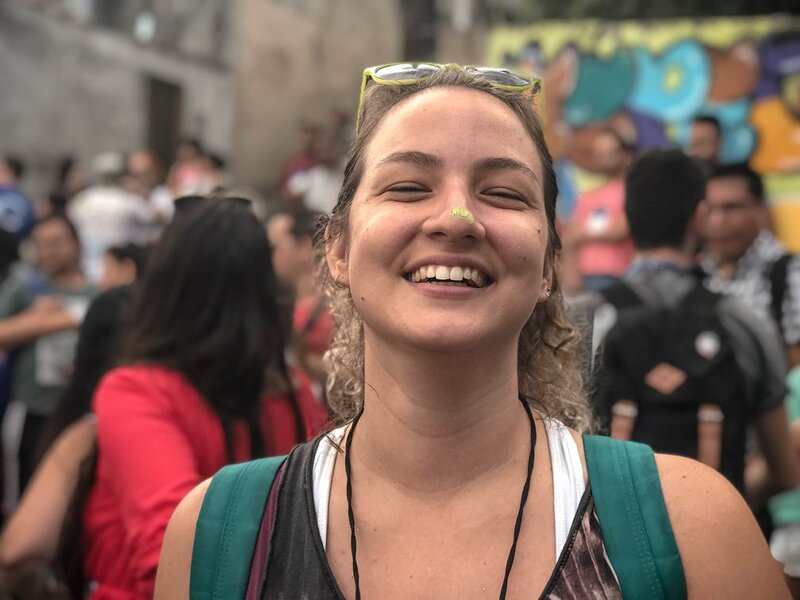 Marcela also started Brasilia’s first social entrepreneurship group, brought the Fashion Revolution movement to the city and co-organized the first Startup Weekend Women in Brazil’s middle-west region. Advocating for gender equality (especially in technology) led Marcela to the conception and development of an in-house project called Wikimina, an interactive and open-sourced graphic that shows incredible women in different fields through a timeline. She believes people are the key to the huge transformations the world needs today and, for that reason, she specialized in service design and human-centered innovation. As the current Co-Founder of Mapara, she works in the field of branding, business strategy and service design, and mobilizes initiatives related to social and gender equality in Brasilia, mainly through the Global Shapers Community. She is also interested in cultural production, innovation, politics and activism, wherever her heart takes her.